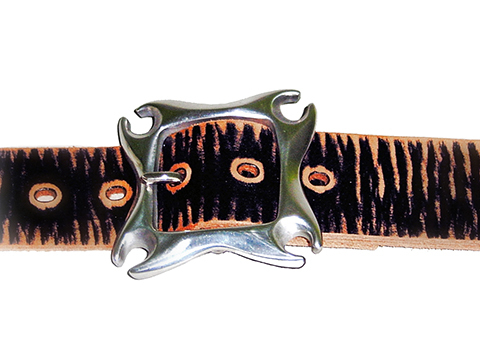 This belt is 41mm (1⅝″) wide and made from high quality Italian leather. The leather strap has been aged and distressed to give the well worn feeling. The buckle is made from tough zinc and has a heavy silver plated finish.